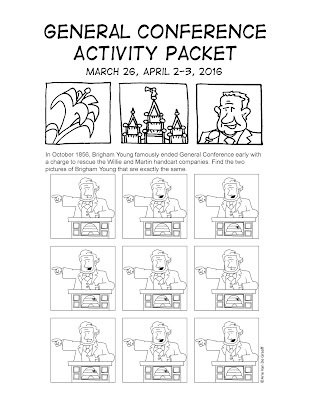 In addition to the packet, let me also encourage you to take advantage of the Mormon Cartoonist Activity Page Newsletter. 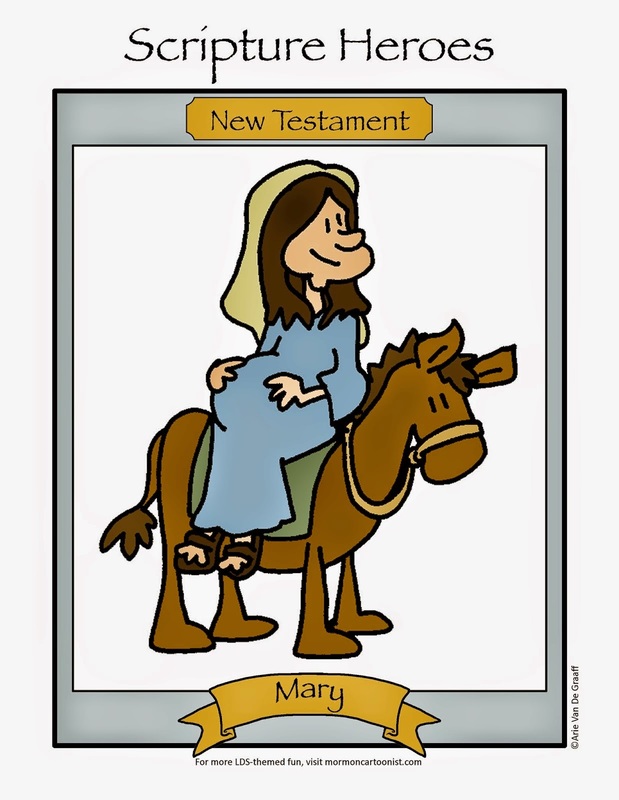 The newsletter is delivered to your inbox every Friday and includes a printable activity page for use during sacrament meeting, Family Home Evening, primary, or General Conference. It's completely free! There are also a number of iOS apps to assist parents of youngsters to make conference more bearable. Please consider downloading LDS Coloring Book, LDS Laughs, LDS Scripture Heroes, and the Book of Mormon Adventure App on your iProducts. Or if apps aren't your thing, you can always buy the Puzzle Book for LDS Kids or Now That I am Baptized at most LDS bookstores. 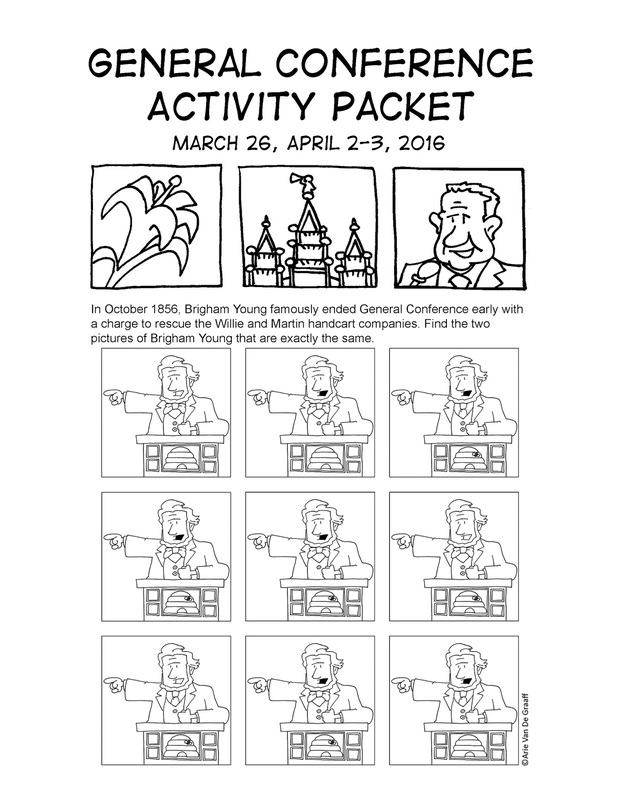 The Conference Activity Pack is here! Sweet! Thanks so much! We use them every conference. I love that you added the page for additional speakers, that is exactly what we have wanted. I love your packets! My kids have used them for many many years!!!! Thank you for all the time you put into them! Interesting idea. I'll consider it. My son just reminded me that I needed to get their packets ready -- the kids look forward to them every conference! Thank you for sharing your talents! Thank you for sharing your talents and making these available! We have used them for many years. Just came across this. It will keep my 3 little ones busy while watching the Sunday sessions tomorrow! Thanks for sharing your hard work and talents. Thanks for providing these packets. They are great. It would be even better if the General RS/YW/Primary presidency were represented. I include the apostles because, with the exception of someone being sick here or there, they speak every conference. The page with the incomplete heads is for you to make as many copies as you need to cover the other General Authorities and General Auxiliaries.